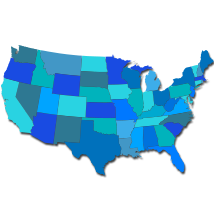 Search by state, zip code, radius to zip code, & gender in seconds. Purchase on-line or contact a sales representative. EMAILZIPCODE is a data aggregation company that specializes in the collection and sale of Opt-In Email & Postal records. The Email Zip Code Database contains more than 157 million data records which yield the highest level of deliverability and return for our clients. All email leads are 100% permission based, Can Spam compliant and updated weekly. We provide online marketers the ability to reach US local targeted audiences using quality direct email and postal marketing data. Every data order passes through our email hygiene process to ensure that emails have a 95%+ delivery rate. GET SUPERIOR EMAIL DELIVERY and have successful email campaigns. We use hundreds of different sources to aggregate our consumer email databases. We gather raw data from our own marketing and publication offers, third party offers, online surveys, data acquisition, behavioral data, and other accurate sources before we integrate proprietary enrichment sources. EMAILZIPCODE is managed by a team of seasoned digital marketers and computer engineers. In addition to our state-of-the-art email database we are also a full service internet marketing firm and ESP (Email Service Provider). We understand that every client is different and every client has their own unique value proposition. Our personalized marketing approach, strategy, lead generation, nurturing process, and use of analytics deliver consistent results and ROI (Return on investment) for our clients. There is only so much traffic available on daily basis using SEO, SEM and RTB tactics. Email marketing provides you the ability to feed your conversion funnel consistently and grow your business at a faster rate. Powerful email campaigns are one step away – You own the database. Take control of your marketing today. Whether you are looking for email lists for sale in a small batch of 3,000 or a more expansive set of 40,000 email addresses or more, you can get what you need here at EmailZipCode. We are a company based in the US and in compliance with the CAN-SPAM Act. When you buy email addresses by zip code from us, we guarantee all of the contacts are permission-based. One of the main reasons that email marketing campaigns fail is a lack of data / information, which then leads to a lack of proper targeting. We only sell email addresses for which we have acquired a certain level of information. This data includes, at a minimum: first and last name, address including city / state / zip code, and IP address of opt-in origination. Our main service here focuses on the ability to target potential customers based on their state of residence, zip code, or how close they are to any given zip code, and gender. You can search through our mailing lists by zip code online and then simply add the lists you want to your cart, and then checkout with any major credit card. You can also call us and place your order over the phone with one of our email list sales professionals at 877-800-7603. You can also buy from our email address list for sale based on specific housing or marital status, level of education, business interests, gambling or lottery interests, small business owners, real estate agents or investors, other types of businesses and executives, medical professionals, and more. When you purchase email lists by zip code or any other specification, we guarantee at least a 95% delivery rate. If you already have your own lists, and you're not sure whether the information is valid, you can send us the list and we will clean it for you. In this case we also give you a guarantee of at least a 95% delivery rate on the data we send back to you. Emailzipcode does not sell cheap email lists, our email lists have are opt-in and have been validated for accuracy. All of our email lists for sale will be delivered to you in CSV format which can be uploaded directly in to almost any third-party CRM (Customer Relationship Management) application or Email Marketing System. Email address lists can also be viewed with most editors like notepad, or textpad or viewed with Excel or Open Office applications. More than 42,500 zip codes with active US consumers. 157,877,547 consumer with email address and full record information. Every email data order is verified at the point of purchase. We guarantee a 95% deliverability on every email list order. We get the listings, buy your email lists and get the phone ringing. Love the service. It’s works! Tried other marketing with our coupon but prospecting to email lists by zip code outperforms everything else. Every time we run the email marketing list we get more walk-ins and leads. Love closing deals with emails by zip code. I did minimal email list marketing when I ran for town council. Email Zip Code did the trick. Names delivered at 97%. Great service, thx. Learn how other businesses are using EMAILZIPCODE and watch your business grow! Here are some business verticals that have benefitted from our unique services since 2007. Our clients are very pleased with the quality of email lists, deliverability and customer service. My partner and I plan financial seminars across a dozen major US cities each. We used to have a larger budget to get prospects to come to our seminars. The past couple years have been leaner and Emailzipcode.net made the difference. Buying e-mail addresses by zip code and lowering our distribution costs makes the attendance to grow. It took me a while to build my book of business. Now I like to mentor new people in the business and I’ve put together a really good marketing footprint to keep the leads flowing. Email Zip Code is critical to the success of my business. It’s all about personal relationships and optin email list prospecting is where it all starts. I used to be all wrapped up in the tactics of email list marketing. Not until I started to change my thought process did I really start to see a difference. Purchasing email lists by zip code and running campaigns makes the traffic happen but my nurturing process my drip campaign is what separates me from my competition. We used to do the same old thing over and over again until Emailzipcode.net showed us the path to success. We have learned to build a powerful conversion funnel by vehicle type and leverage our value proposition using email saturation. Buying email lists and prospecting brings the traffic to the website and automating the process makes the deals happen. Thanks for the knowledge. Our clients want email traffic. When we need help with traffic and distribution we turn to Emailzipcode.net. Giving us the ability to buy email lists by zip code, email broadcasting services and email append services gives us a competitive advantage. Most the posts say not to buy email lists, boy they are wrong. Good thing I gave it a shot because it worked like a charm. I won the local election and all I did was broadcast the email address lists that I purchased from you guys. Cost me less than $200 all in and now I’m making the changes my community deserves. We couldn’t grow our draft passed 900 members. After we buy email lists online and updated our website with Jim’s recommendations it started to happen. We send the email list out once a month to a new offer and we are signing up 18% more business and retaining it. The email addresses have also helped us sell our gift cards. Getting new clients is the hardest part of this business. You guys gave us the email marketing strategy needed to build a conversion funnel with a real and meaningful white paper. The email lists help to fuel it. Business is up and we see the light and I get really excited because I see things working and I know how to build a pipeline now. Everything little bit helps. We couldn’t pass up trying out your service when we saw that you partnered with BriteVerify for email list validation. We make email and social messaging work together. ~ Thanks for the education. Your e mail leads are really good from a delivery and response perspective. The more people we reach out to the more new customers we get, it’s that simple. We have a formula here but I must say that marketing technologies are very clever. We do a lot of marketing to email lists by zip code and the only thing that works well are lists that we’ve purchased from your company. We try to keep the surveys short and incentivized to optimize conversion. We’ve tried hundreds of other ways but your email data is the only data we can use with 3rd party email services without getting booted. Whatever you are doing, keep it up. Our company has been building an online community for years. I can’t tell you the endless hours it has taken us to put this whole email list strategy together. Your Opt-In emails are great for generating new traffic. We like the fact that we get to keep the email databases, grow our assets and make love connections! We used to only generate traffic using our opt-in SMS / text system. Then we realized that we could buy email address lists from your company. We were able come up with some new creative strategies where we leverage SMS and Email traffic together. Getting patrons to come into the bar when we want them too is priceless. It’s fantastic, you turned us into real marketers. See you soon.